Sometimes the passage between the islands is quite narrow. As we pass the island of Rindö we have Fredriksborgs Fortress on the opposite island. 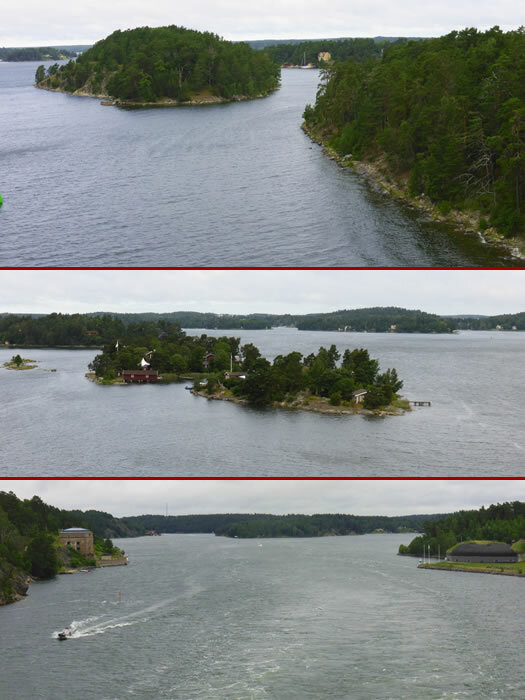 There are many fortifications around the Stockholm archipelago.